Thanks to my kiwi friend, Edward, some english spoken people come to see my blog, that's why I've just started to translate it in -my not so good- english (sorry!). So enjoy...! 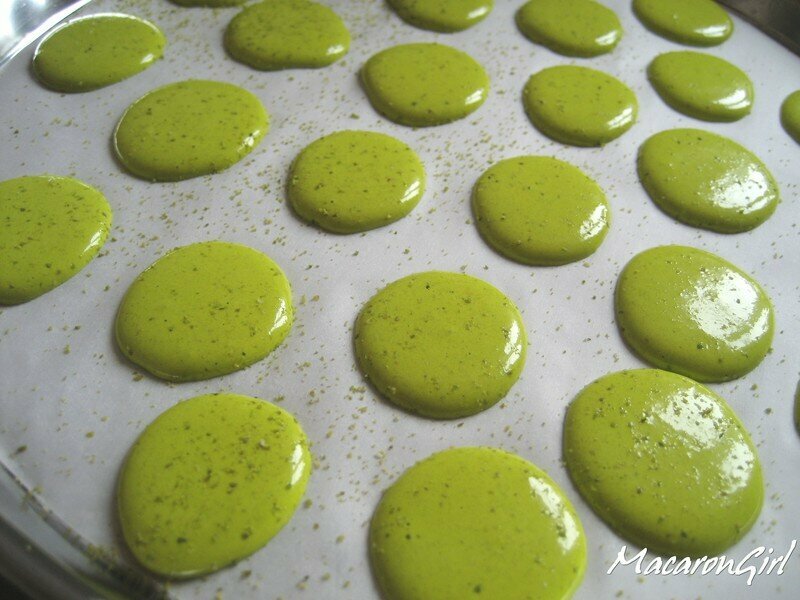 Even if I always get some nice macaron's "cockles" with the classic method, I really wanted to try the italian meringue method that Mercotte recommends. Don't worry, it is not so much more difficult but a baking thermometer is needed. After a little shopping in Ikea's (where you can find them for less than 10 euros), I was finally ready! 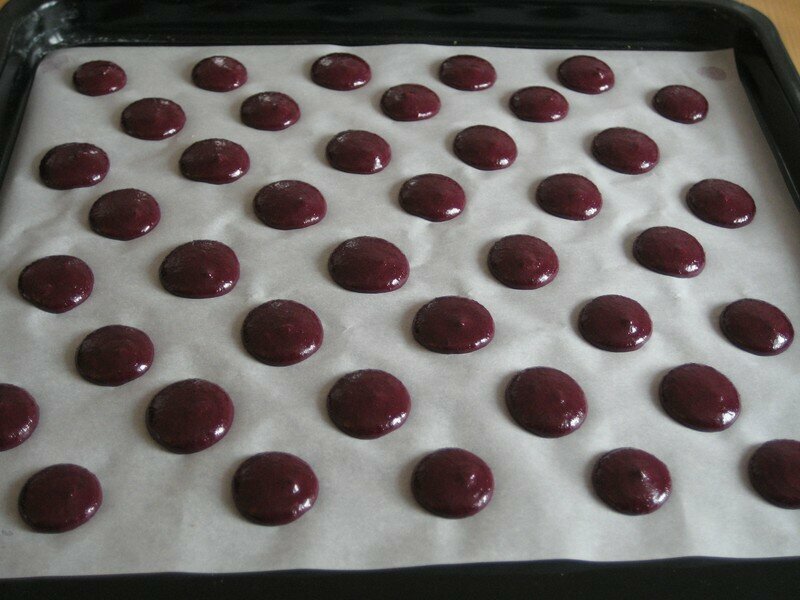 Anyway, I have to practise because I promised to my sister that I would make a pyramid of macarons for my so pretty niece Aniella's baptism. 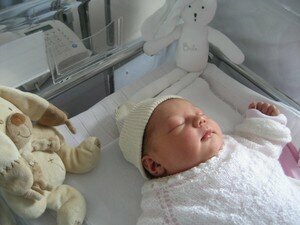 Isn't she the most lovely baby in the world? I will tell you step by step the building of the pyramid very soon ! 1. 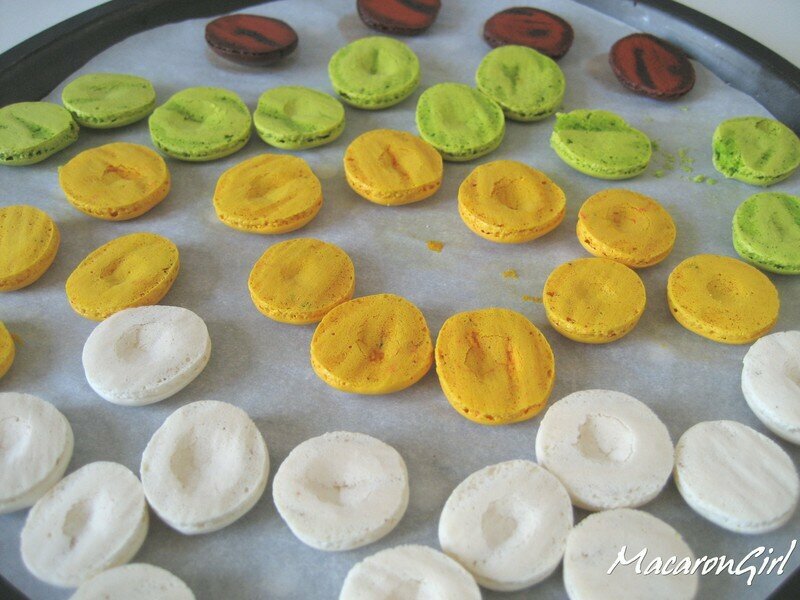 Mix up the almond powder with the icing sugar and then sieve them all. Reserve the whole in a salad bowl. 2. 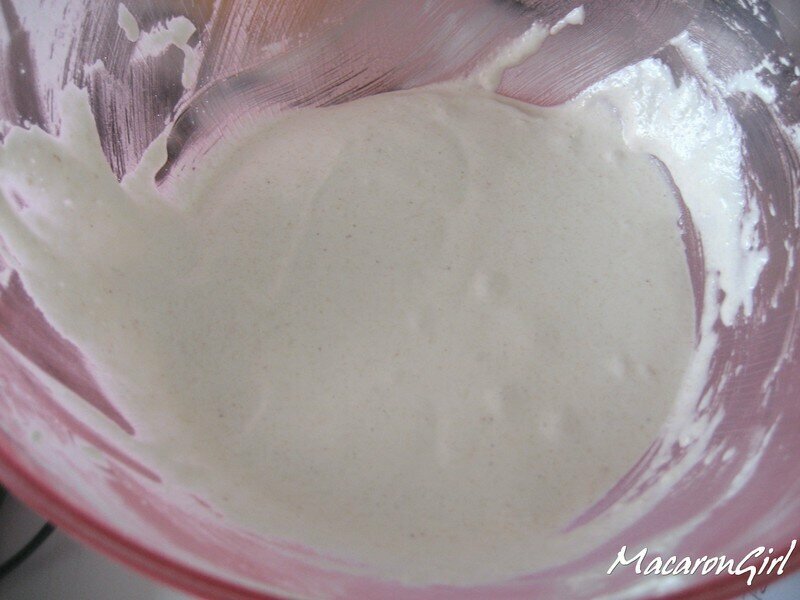 Take the first 60g of egg whites et take them up in snow with the 35g of sugar added in three times. 3. 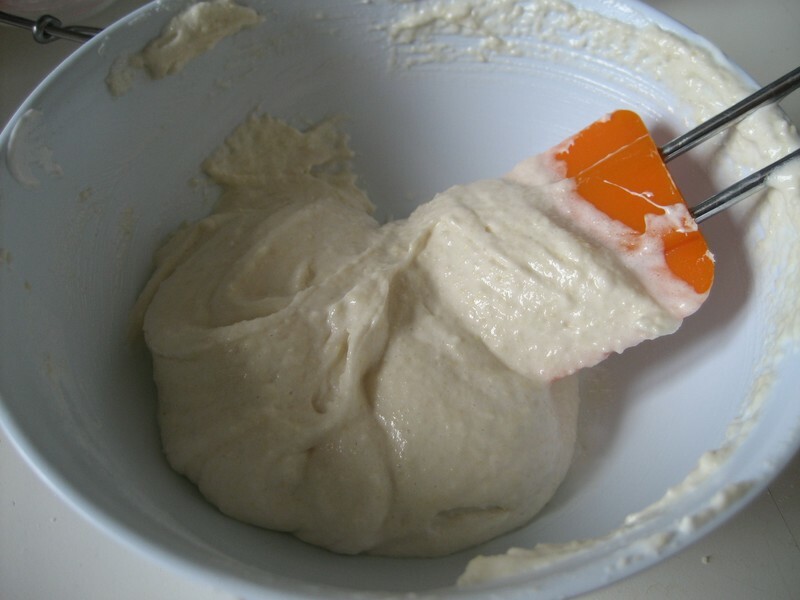 In a pan, blend the 150g of sugar with the 50g of water. 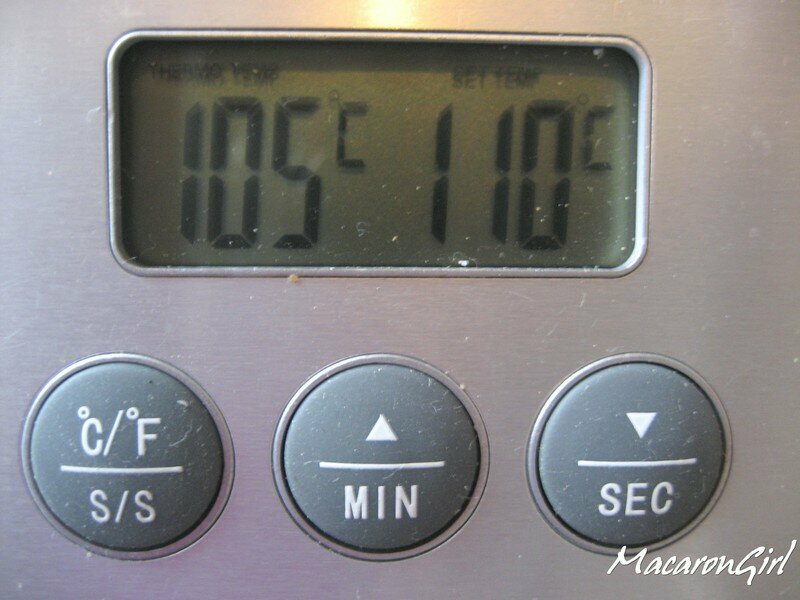 Cook until 110°C (230°F). Pour in the tapken up whites in a thin thread while stinking at weak speed. 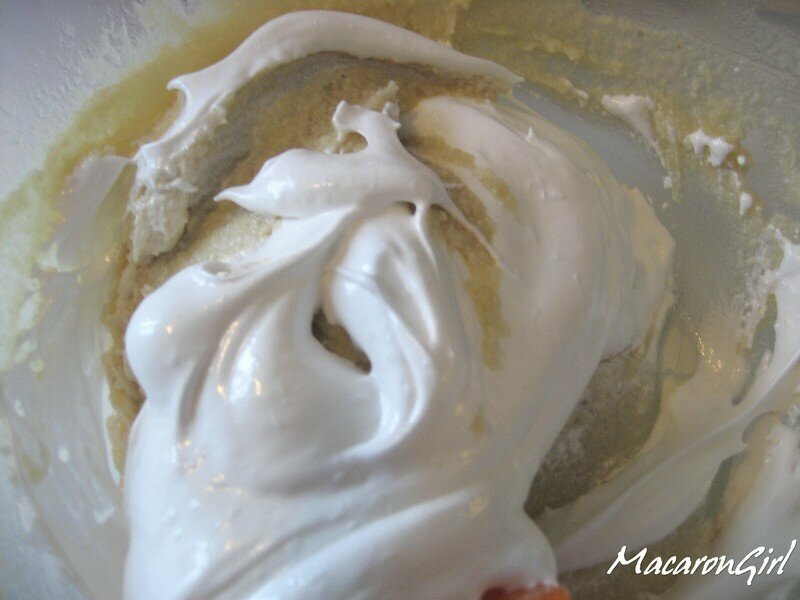 Continue beating until mixture goes down at 40°C /104°F.This is the italian meringue! 4. 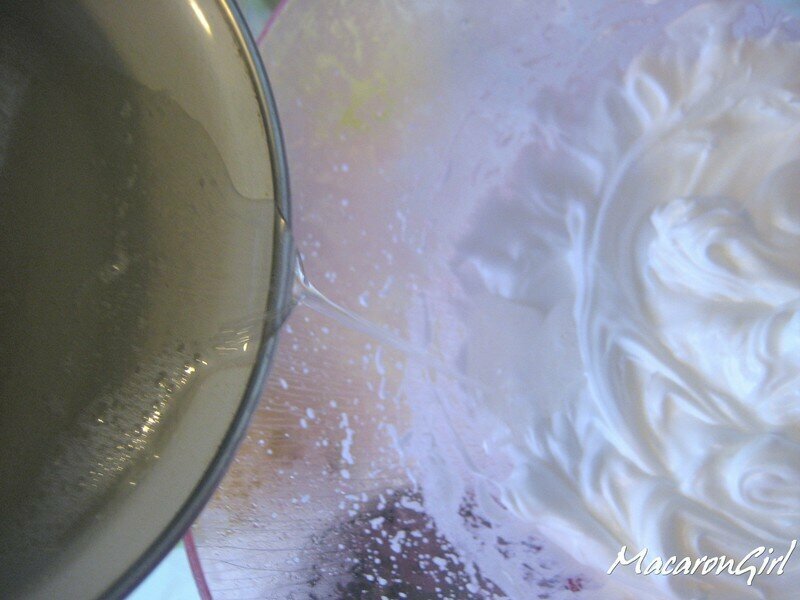 Stir in the other 60g egg whites with the blend almond/icing sugar. 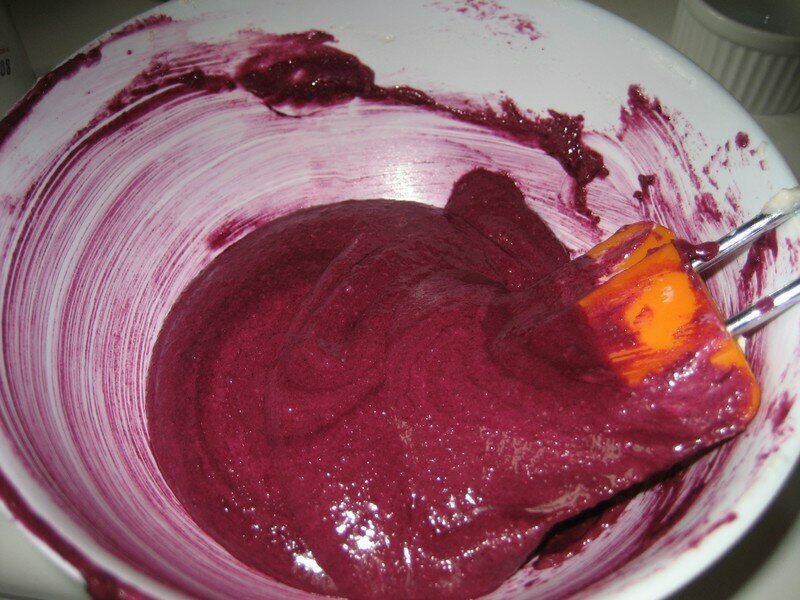 Mix well and add the the food colouring agent. 5. 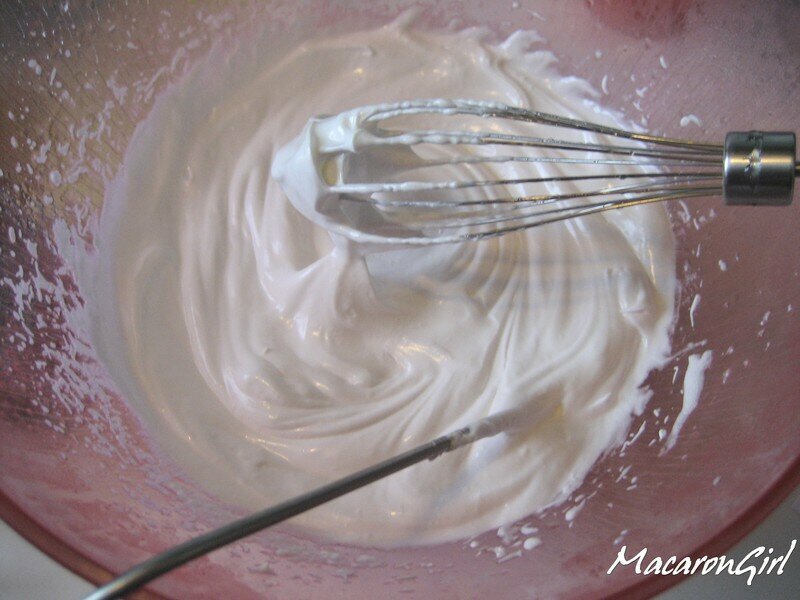 Incorporate the italian meringue into the last mixture delicately with a plastic spatula (maryse). 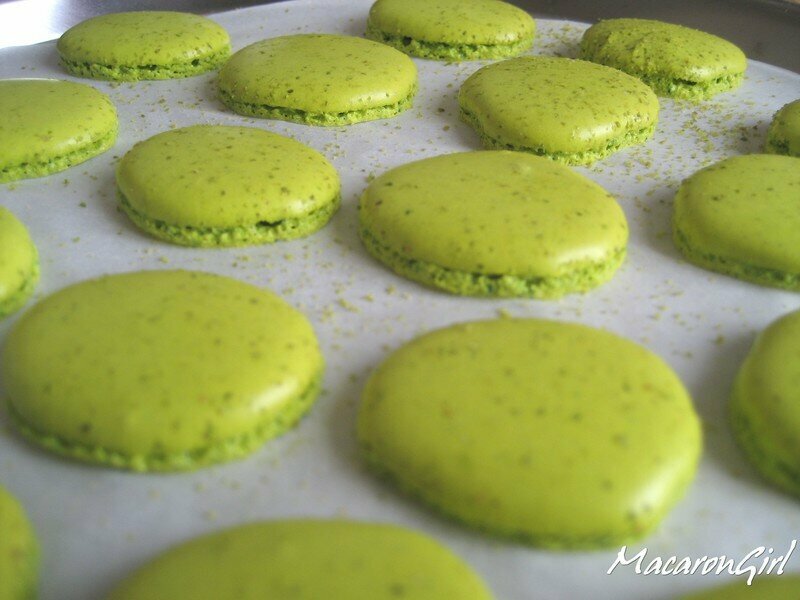 As I prefer the small macarons, I use a a 0.5cm (diameter) tip but others would rather like a 1 cm one. 8. 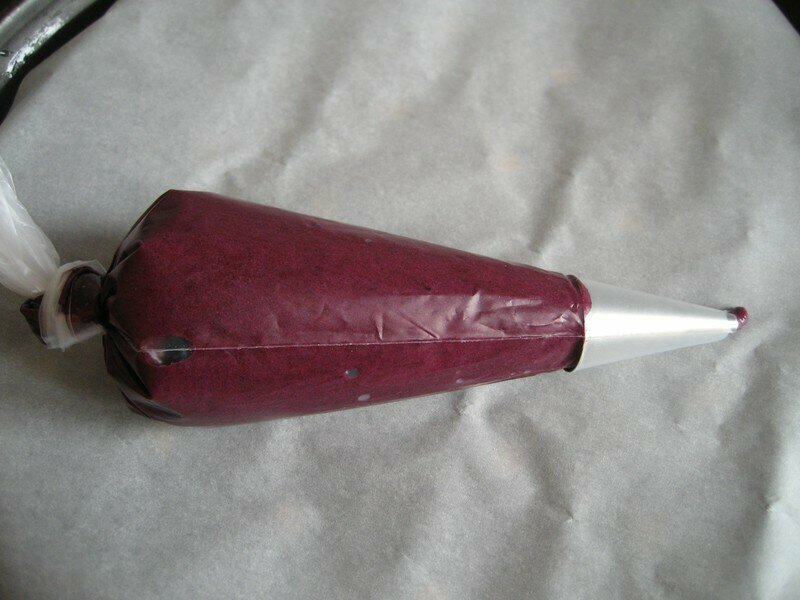 Just wait for a little before taking them off the baking paper. 7. 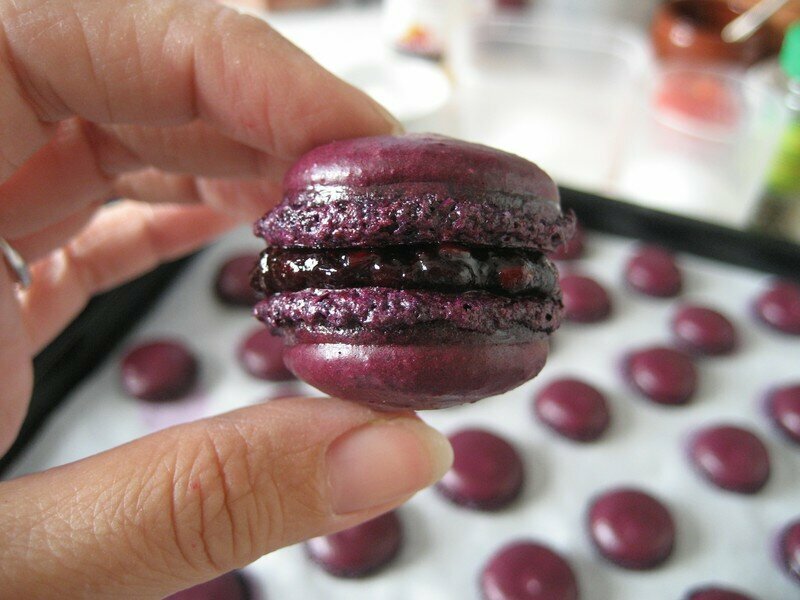 Put together two macarons cockles by intercalating some cream filling between. To keep them, I recommend to put them on the edge in one limp hermetic. 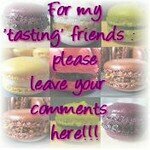 It is better to let them take all their taste in the fridge during 24 h before savouring them, on the condition of being able to resist! 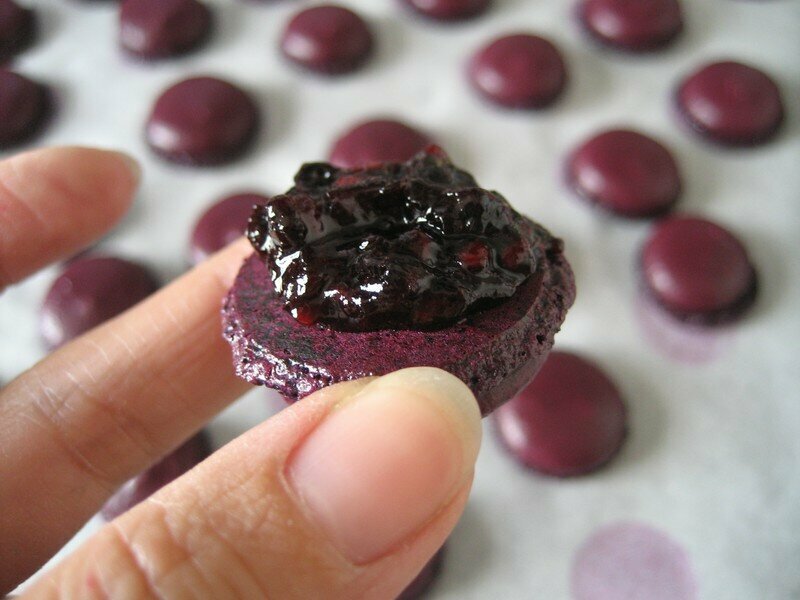 This is my classic and easier method to realize those famous macaron's "cockles" before garnishing them of ganache! 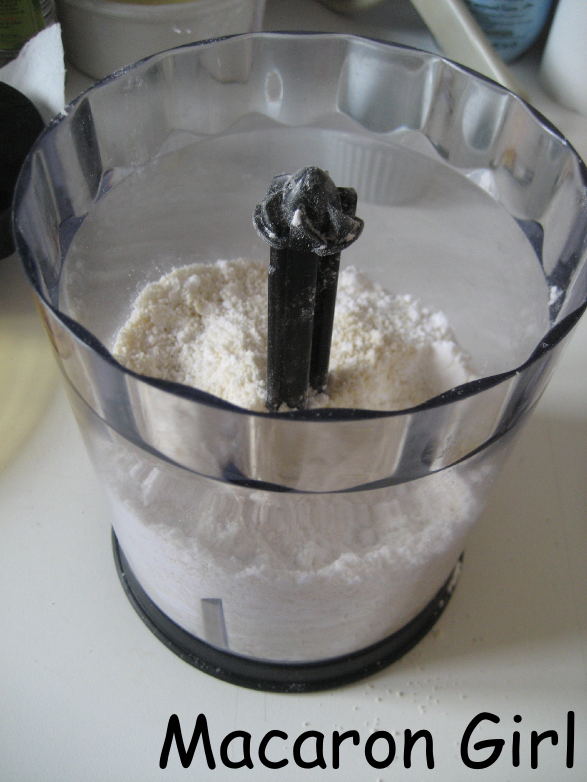 1/ Make the "much for much"
In a blender, mix the icing sugar with the almond powder. Be careful not to "heat" the whole. Sieve it just above a sheet of baking paper. Reserve. Take the egg whites up in snow with half of the sugar. 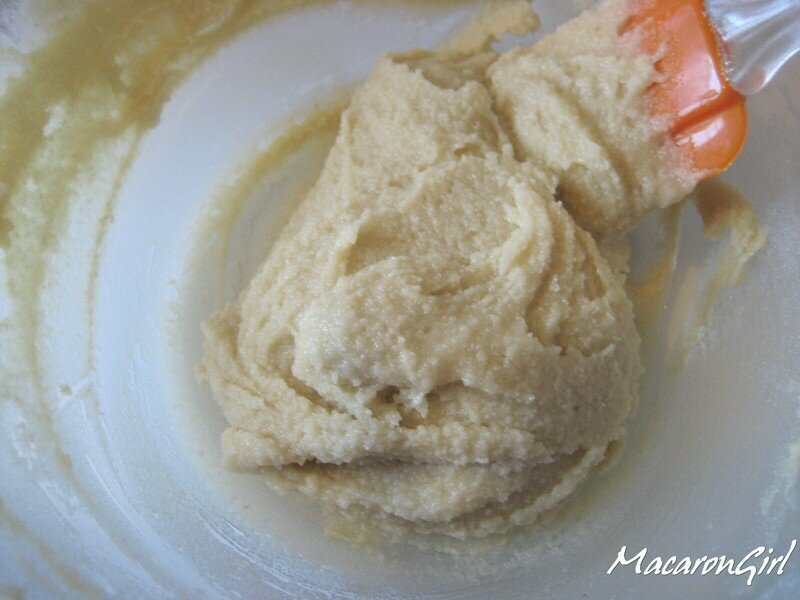 Then, when they're very thick, add the rest of the sugar and go on take them up a little more. 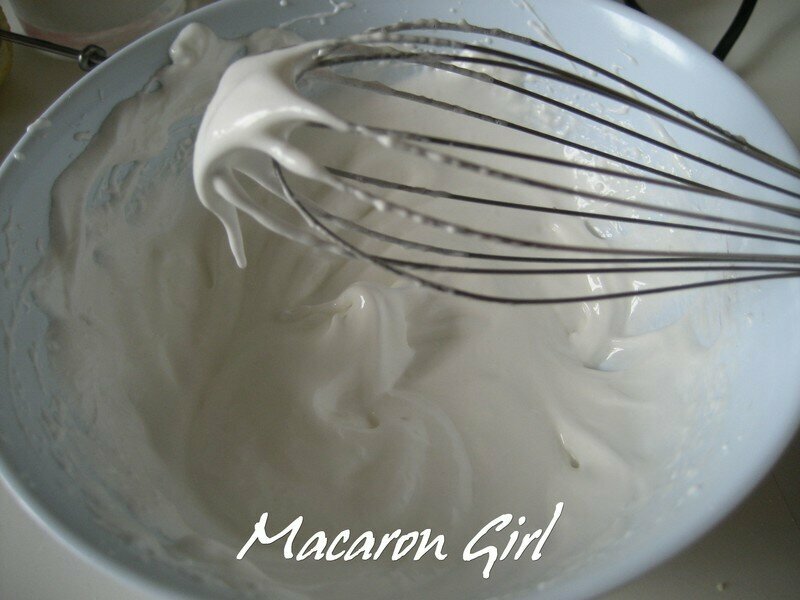 In the taken up egg whites, stir in the "much for much" in three times with a plastic spatula (maryse) and then the colouring agent of your choice. 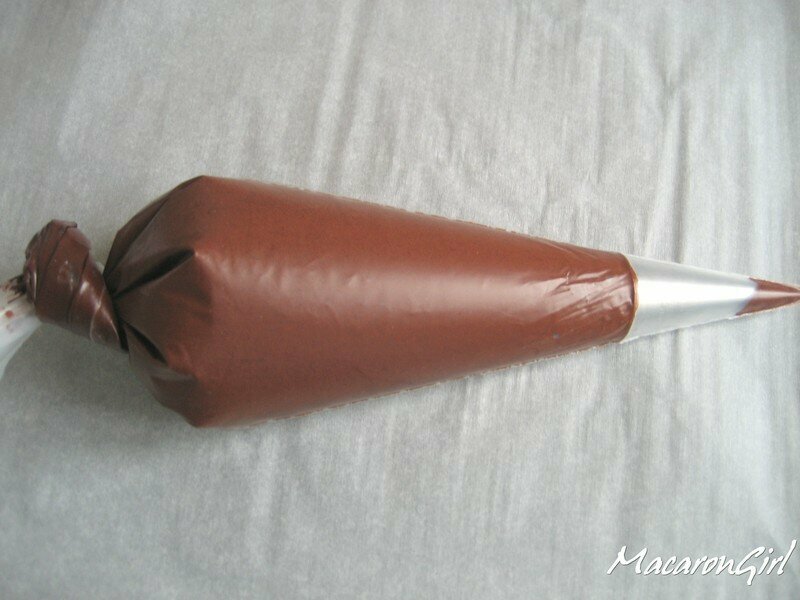 Put the mixture into an icing bag with a piping tip. 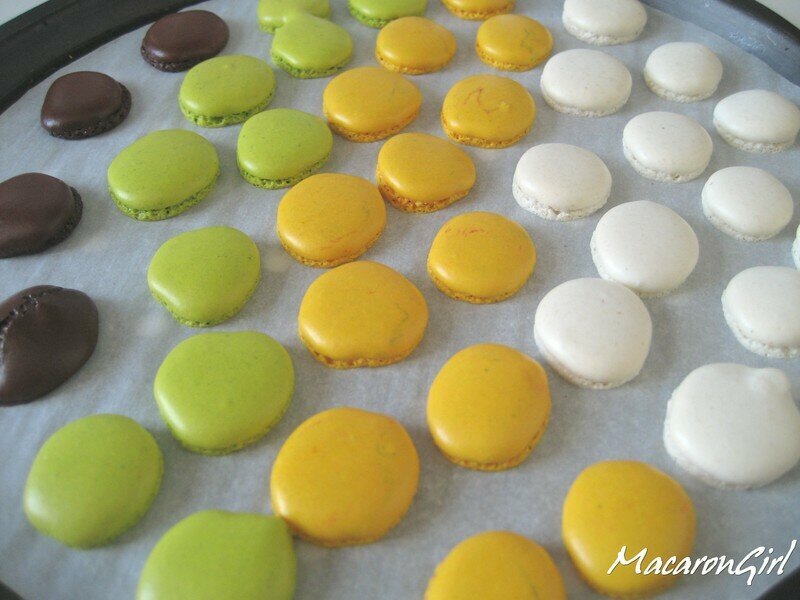 I'd rather like to use 0.5cm diameter ones in rder to make small macarons. Place a sheet of baking paper on the oven plaque. 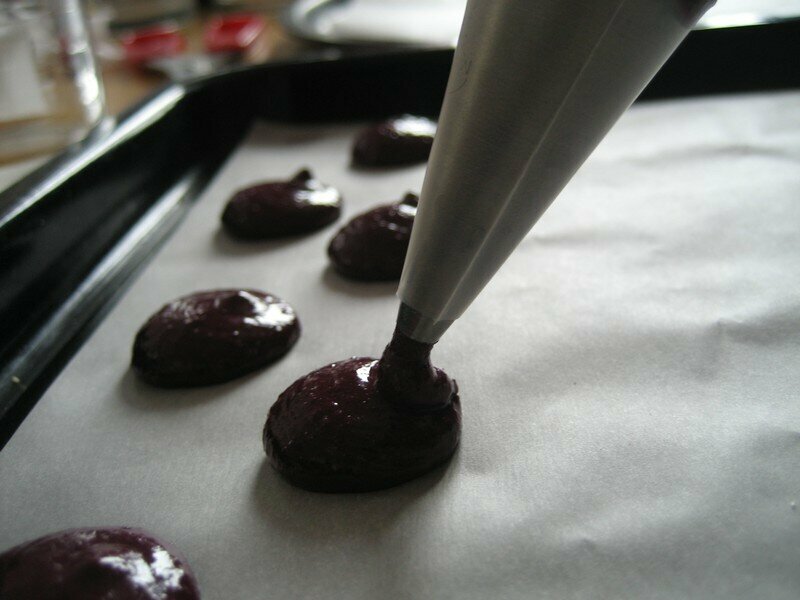 Position the piping tip in 45° and make some 2cm diameter domes. Be careful of spacing them out well. Let them rest for 20 minutes. When they're cooked, let the cockles rest few minutes before take them off the baking paper. Someones recommend to flow some water under the sheet to take them off more easily. 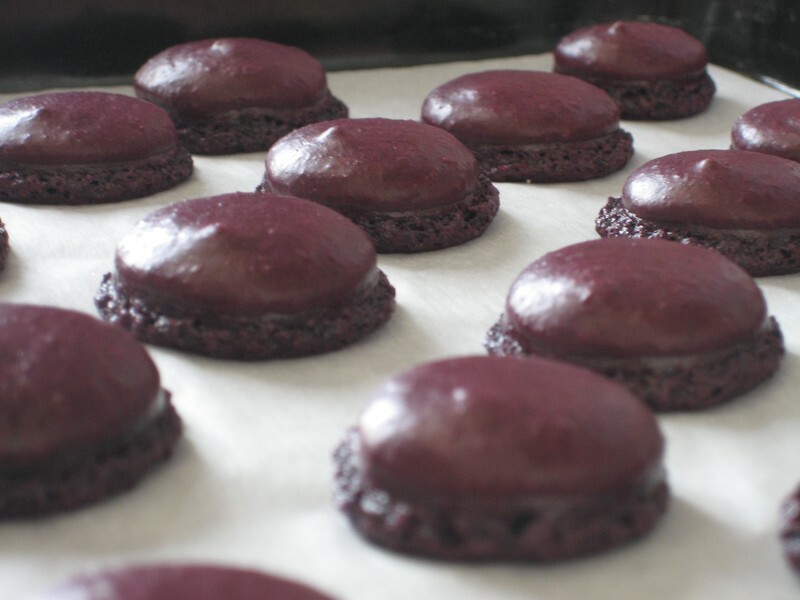 For a more unctuous macaron with more ganache, I plant my thumb a little bit on the internal face of cockles before garnish them. Then keep them vertically in one limp hermetic. But will you be able to resist ?